A renaissance of touch in the museum? Touch was a significant feature of visiting museums in the past. In the late seventeenth and eighteenth centuries visitors to the Ashmolean (Oxford, UK) and the British Museum (London, UK) were allowed to handle, rub, shake and even taste objects on display. Restrictions on how objects could be handled and by whom emerged over time and by the mid nineteenth century only curators and conservators were able to enjoy physical interaction with the objects within the museum. Touch and class: Changes in the social class of museum visitors have also been linked to the demise of touch: ‘the upper classes always had license to touch and their touch was deemed rational and non-damaging. On the few occasions when the lower classes could touch museum collections it was considered unruly and dirty’ (Candlin, 2008: 9). Some argue that it is the move of museums from being restricted and elite to public and open that touch was prohibited and the reign of the visual spectacle of the museum began. For some, the shaping of the museum as a site of pure spectatorship can be linked to the development of visual technologies (the microscope, telescope) and the modern era. However others argue that touch opens up ‘imaginative, speculative and emotional ways of knowing material objects’ that are not in opposition to rationality but form part of the rational project. Thus, they dispute that there has been a progressive trajectory of ‘transition from multisensory, non-rational and premodern experience to visual, rational and modern knowledge’. A renaissance for touch in the museum: Over the past decade or so, however, the ‘sensory turn’ has led some contemporary museums to rethink their restriction of the senses and how they might revive sensory opportunities for visitors to engage with objects. The move to touch in the museum and gallery has been led by Blind and visually impaired activists and advocates. This has led to the establishment of a number of tactile museums around the world, the development of touchable collections (e.g. plaster cast rooms), as well as touch tours, and other events dedicated to the handling of objects (albeit objects of limited significance or value). There has been particular interest in how the role of touch could be exploited and expanded in the museum in the wake of studies that have shown the potential social, cognitive and therapeutic value of handling objects (Chatterjee, 2008, 2013). Below we set out some of they key issues for touch in the museum below before briefly discussing the potential of the digital to speak to and these. Touch as access: To some extent the shift to sensory experiences in the museum have become increasingly entwined with the politics of social inclusion and widening access to the museum. This shift can also be seen in schools, and other learning environments and institutions. However, as some have pointed out, touch alone does not equal ‘access’ to collections if it is not also accompanied by intellectual context; and while touch tours are usually restricted to blind or visually impaired visitors, it is not only those visitors whose understanding is enhanced by touch. 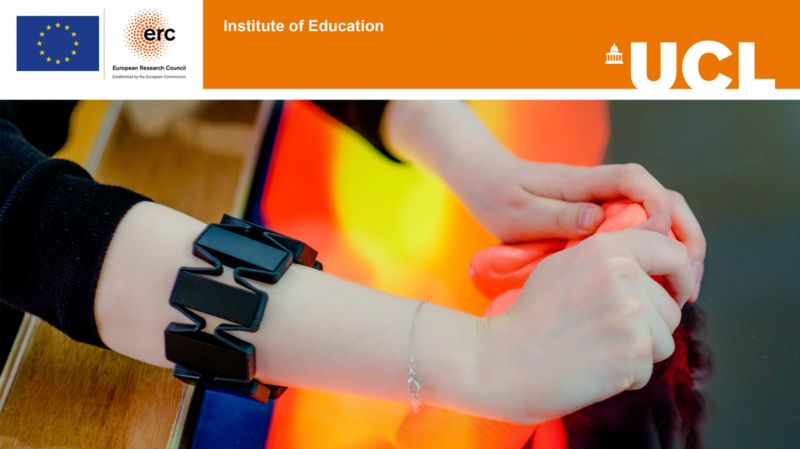 Ways of knowing through experiencing the properties of objects – The use of touch is nonetheless a means of learning is fundamental to contemporary notions of exploratory learning and investigation as well as common practice. It is common practice to both visually inspect objects under study but this often needs to be accompanied by the handling of an object, turning it, feeling its texture and weight, temperature and other physical properties. Evoking tactile memories – Museums can use objects to stimulate memories among visitors, supporting them to reconnect with a past experience, and how this can help to reconstruct lived narratives and identities. This can help visitors to access the benefits of reliving moments triggered by handling of objects. Touch is a part of the phenomena of artists designing exhibits to be touched and physically interacted with in the museum or gallery –Patrick Dougherty’s natural environments, John Bock’s strange buildings, Felix Gonzallez-Torres installations. They are explicitly designed to evoke touch-based memories, and responses in which visitors’ physical interaction is a part of the production of the piece. Creating personal tactile dialogues with museum collections – touching objects in the museum can help to generate a sensation of intimacy with the original creators of the objects on display. In turn this can help visitors to empathise and re-enact lives of others. Historians and anthropologists have pointed to some of the challenges of telling historical narratives through the senses – for instance, the need to understand that the senses themselves are both a cultural and a natural phenomenon – and what felt soft, or new a century ago may not feel the same today (Levent and Mc Rainey, 2014). Increased engagement, aesthetic tactile pleasure is also a part of touching in the museum. Making objects meaningful through touch– it is not always clear what an object is, what its meaning and use is. Sometimes and object needs to be returned to its original communities, shared and placed into context, its material and techniques of production studied. For example, Gadoua (2008) sets out a study conducted at the McCord Museum in which groups of Inuit elders were invited to share their knowledge and memories about objects of everyday life collected in the Canadian Arctic during the first half of the twentieth century. The elders’ interpretations of ancient hunting equipment, sewing paraphernalia, household utensils, and personal ornaments informed the archaeological analyses of analogous artifacts. This necessitated the handling of the objects to generate various meanings for the objects: how they were made, and uses in the past, as well as their contemporary value for the preservation and promotion of Inuit traditions. Collaborations such as this can also support the handling of objects to regain traditional craft skills and cultural practices. Tangible and embodied prototypes are being developed by the Touching the Untouchable project to support virtual handling of archaeological artefacts in meaningful ways by placing them in contexts of use and provide uses with a sensorial and embodied cultural heritage experiences. Such multisensory interactions present significant opportunities for interactive exhibits to expand our access to cultural history and its artifacts. Reverse electrovibration (virtual touch) can be used to facilitate electronic transmission of the human tactile sense, allowing end users to perceive the textures and contours of remote objects. For example, REVEL, imparts a low-level signal, creating an oscillating, weak electric field around the user’s skin. Signal variations correspond to texture variations in the distant object. The signals are generated in such a way that the resulting sensation in the fingers mimics the sensation of sliding the fingers over the object. We will ask what, if anything, the digital can add to ensuring a more subtle understanding of the relationship between touch and meaning as socially and culturally constructed, and historically situated in the museum. Candlin, F. (2008) Don’t touch! Hands off! Art, blindness and the conservation of exptertise in Pye, E. (ed) The power of touch: handling objects in museum and heritage contexts. Walnut Creek: California, USA. Candlin, F. (2010) Art, museums and touch. Manchester University Press. Chatterjee, H. J. (2008). Touch in Museums: Policy and Practice in Object Handling. Berg Publications. Pye, E. (ed) (2008) The power of touch: handling objects in museum and heritage contexts. Walnut Creek: California, USA. Next postWhat is the role of e-textiles and smart textiles for touch based communication?